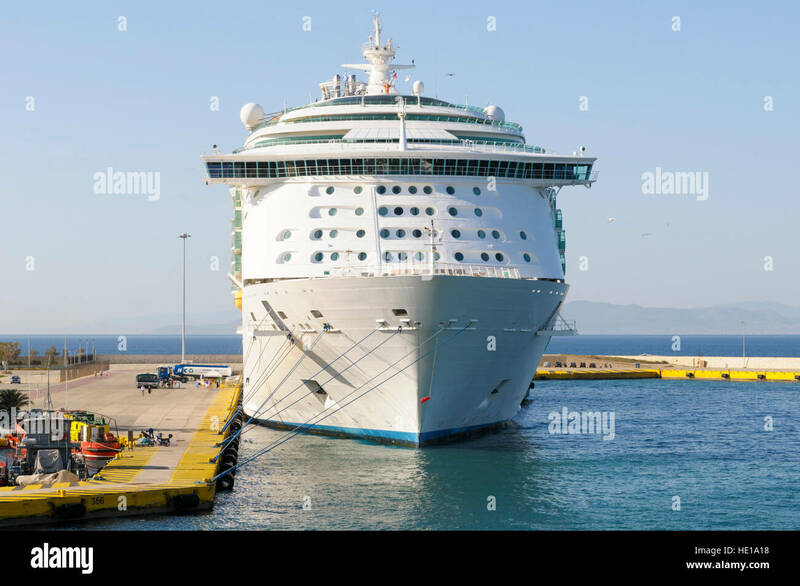 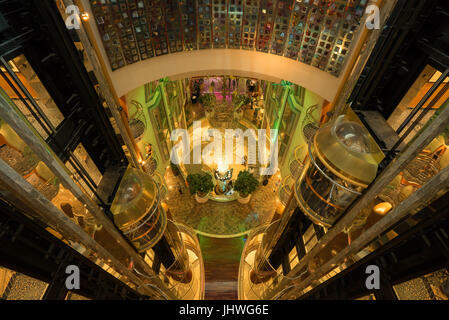 View of the elevator shafts, elevators, lobby and staircases in the cruise ship Navigator of the Seas (Royal Caribbean International). 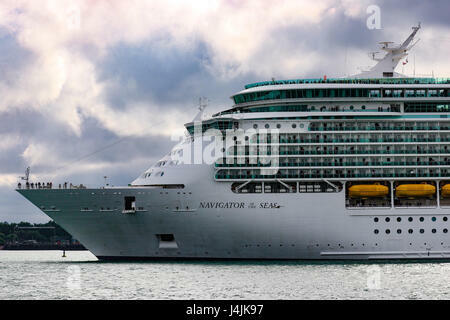 Royal Caribbean's MS Navigator of the Seas departs Southampton Port. 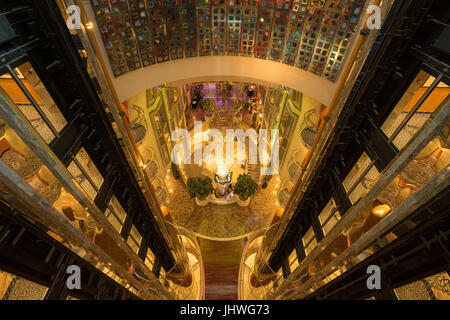 View of the elevator shafts, lobby and staircases in the cruise ship Navigator of the Seas (Royal Carribean International), as seen from deck 10. 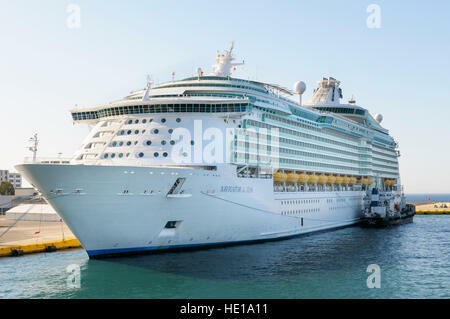 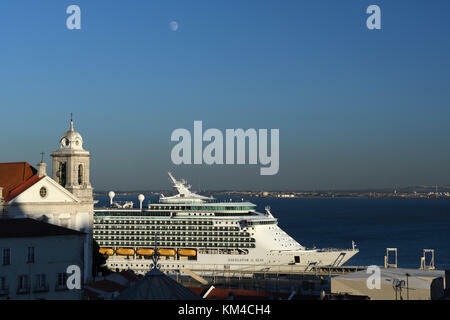 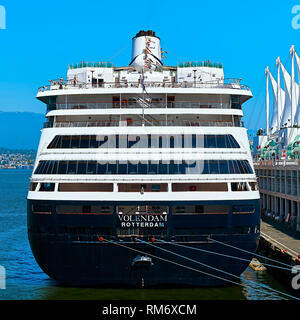 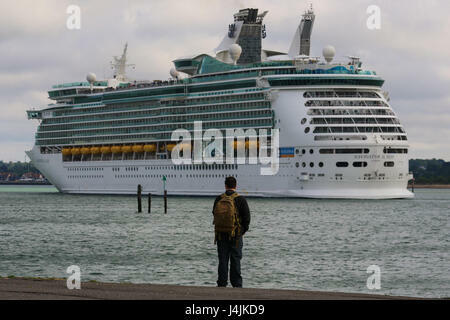 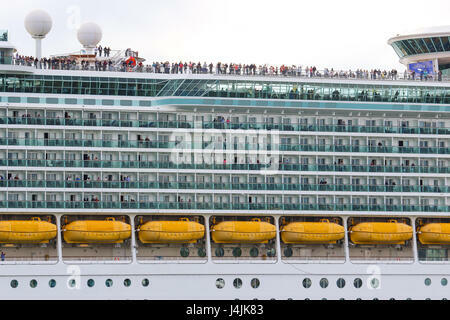 A person watches on at Royal Caribbean's MS Navigator of the Seas departs Southampton Port.